Named after a Georgia Landmark and as steadfast as its namesake. 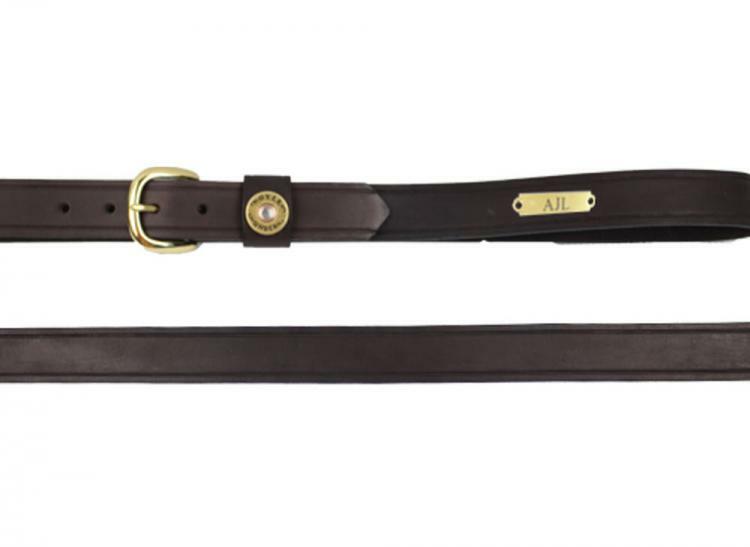 Quality American bridle leather belt has a 1-1/4" width to glide through most any belt loops comfortably. 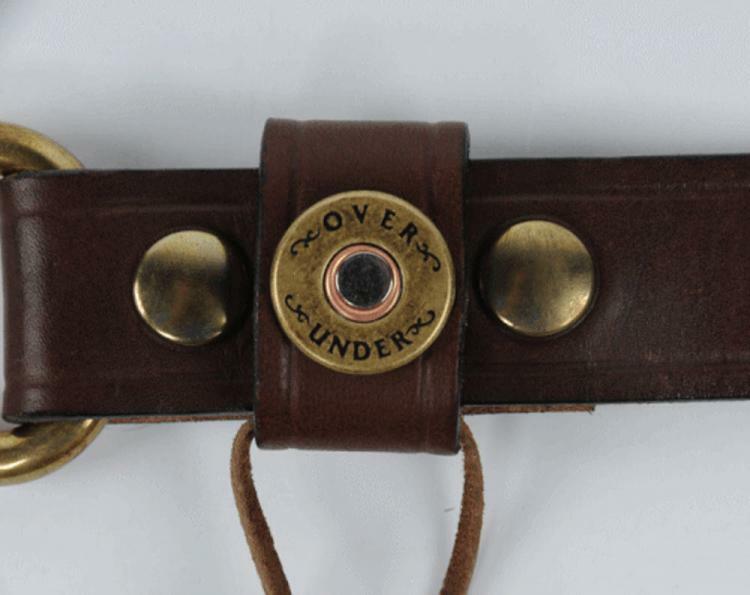 All hardware is solid brass and the keeper is adorned with the signature Over Under shotgun shell. 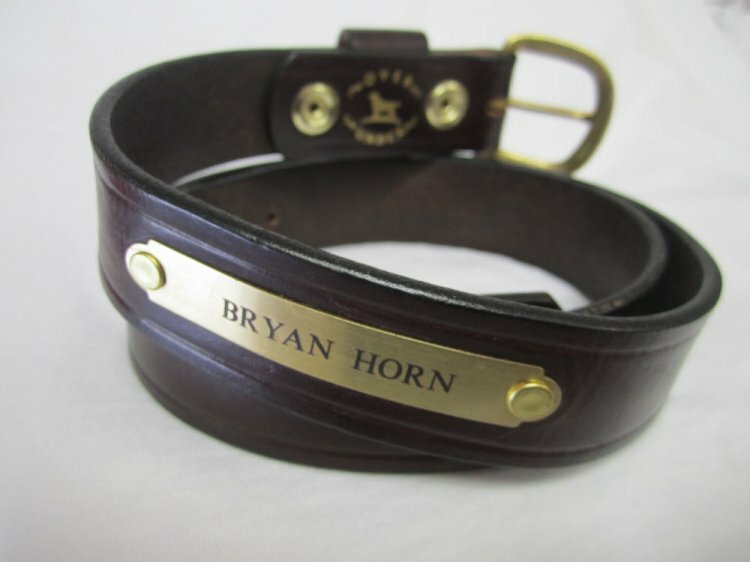 This classic design will never go out of style, the quality and durability mean it may never wear out. The leather is oiled and polished to a rich brown hue that only gets better with age. 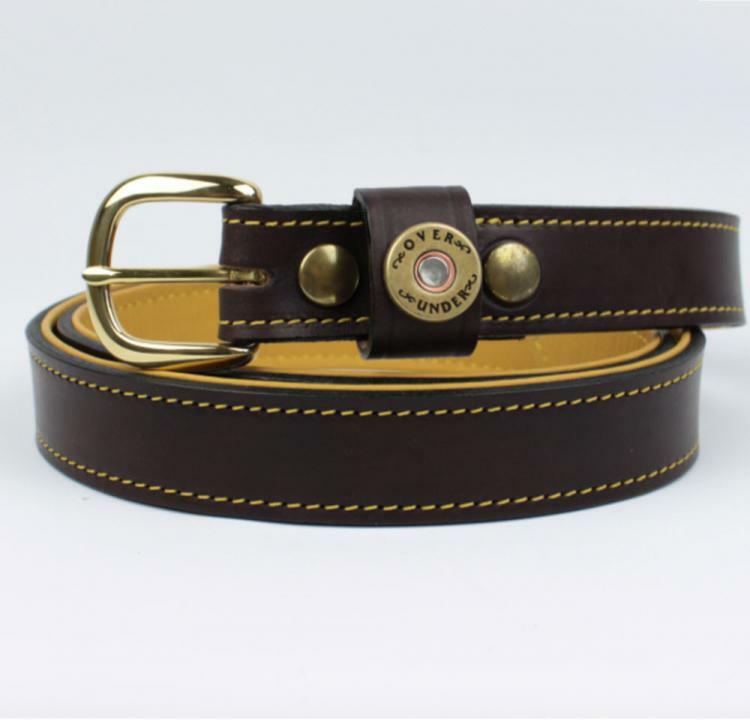 Made completely in the USA and finished off with custom gold foil stamping of Over Under's "Preserving The Sporting Lifestyle" motto and retriever logo this belt is very classy and versatile. 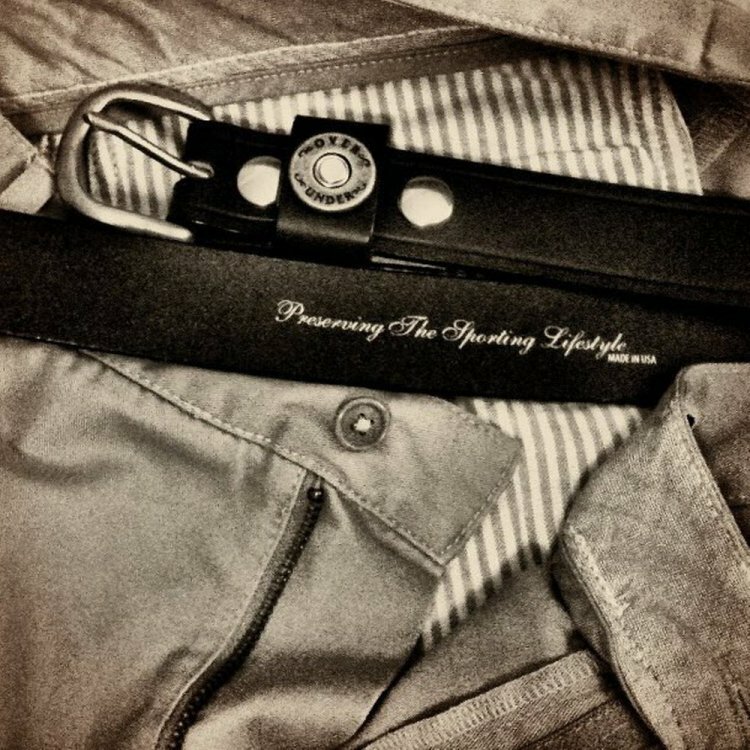 From duck blind to corner office you are certain to look your best wearing this belt that is a favorite of many. Want a lighter version as well? 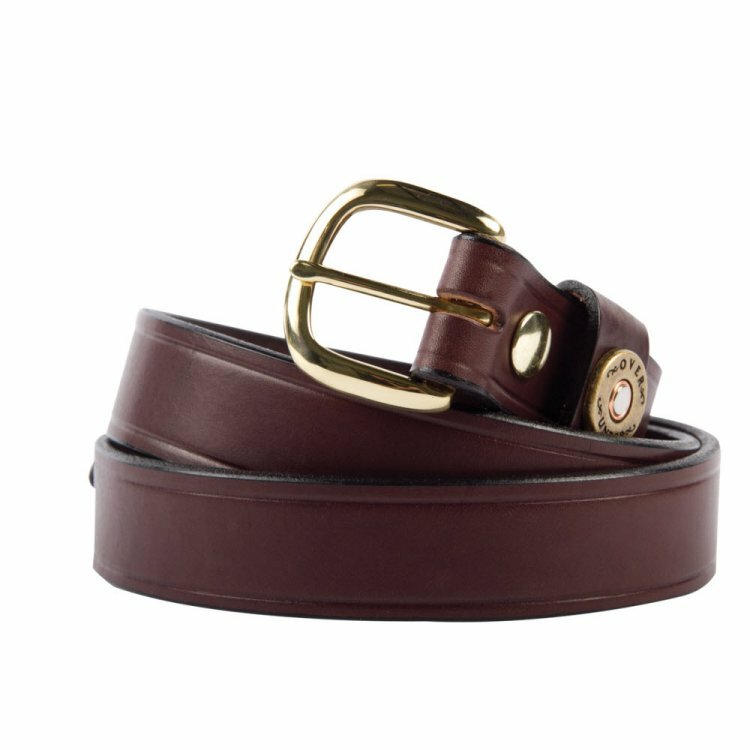 You will love this belt just as much in London Tan. 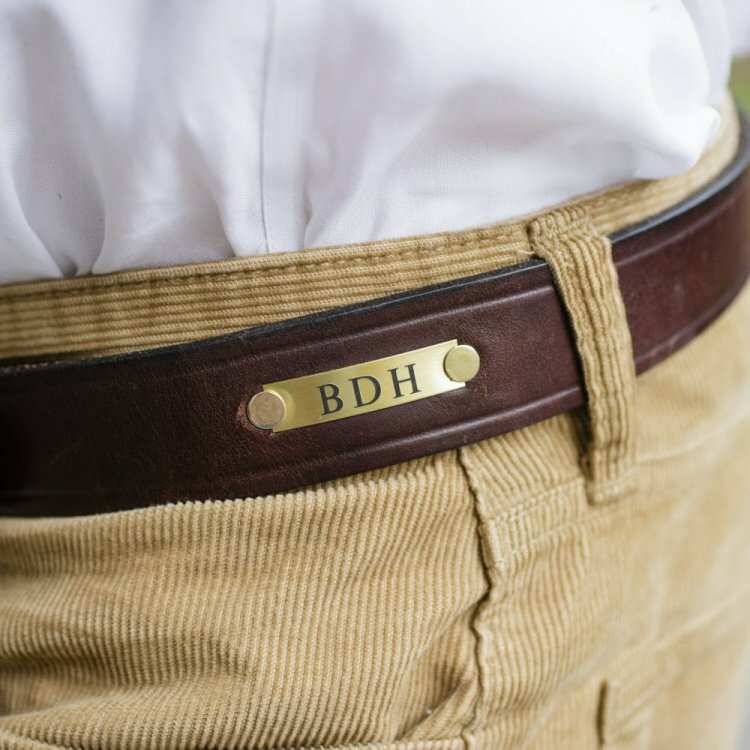 Gold foil stamping on inside reads "Preserving The Sporting Lifestyle"
Personalization with name or initials is engraved on a solid brass nameplate. Personalization will be done exactly as you enter it below. Price: $75.00 In stock! 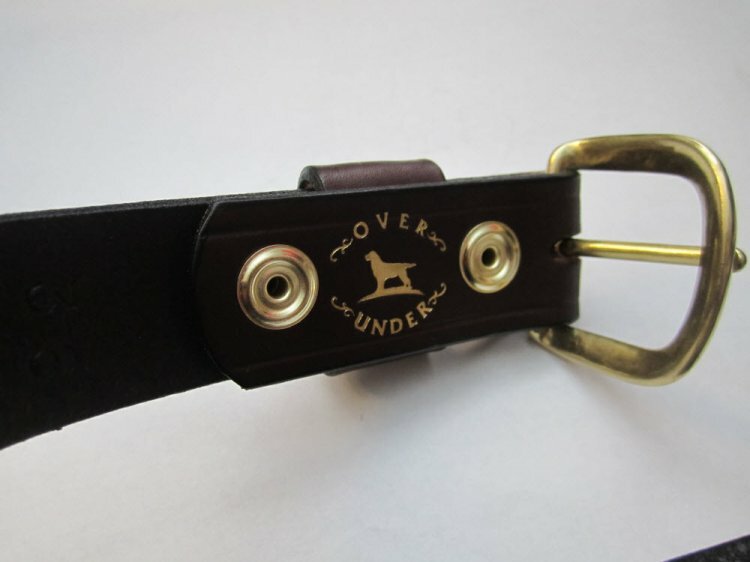 - Browse this brand: Over UnderOur products are custom made to your specifications. This product ships up to 3 weeks after your order is placed. 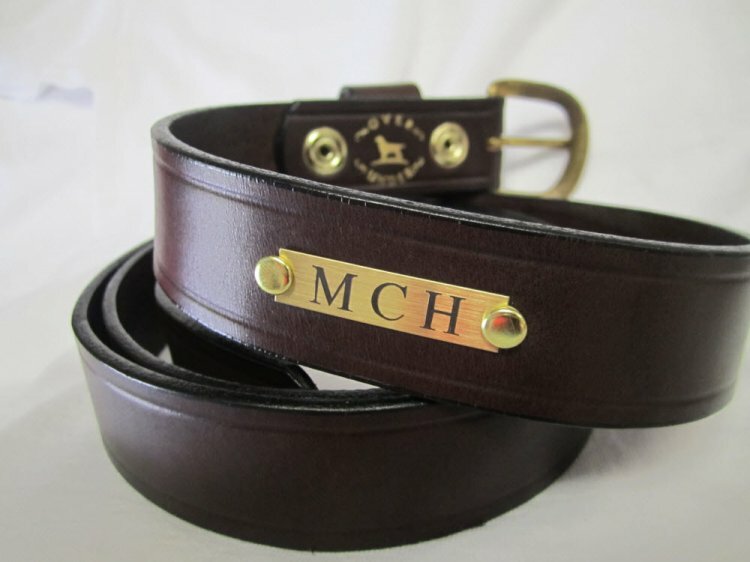 *Please order one size up when purchasing your belt. For example: if you are a 34" waist you will wear a 36"